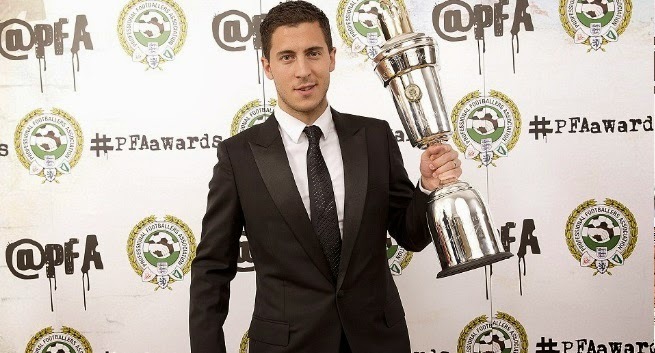 Eden Hazard won the PFA Premier League player of the year award 2015 beating off the competition from Harry Kane, who won the PFA Young player of the year award in a lavish ceremony on 26th April 2015. Belgiuan had scored 18 goals in all competitions this season but it was his overall performance and impact on the Chelsea team which makes him stand out. Chelsea are sure to win the premier league title having already won the 2015 Capital One Cup earlier in the year. While Harry Kane of Tottenham won the PFA young player of the year award after sensational season with Spurs which made him one of the best strikers in premier league. 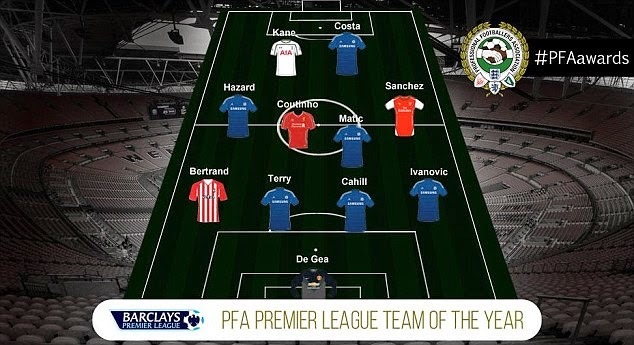 David De Gea has been included in the PFA Premier League team of the year 2014-15 season with 6 Chelsea players (Terry, Cahill, Ivanovic, Hazard, Costa and Matic). While Arsenal new signing Alexis Sanchez and Spurs hotshot Harry Kane also made the list. Southampton leftback Ryan Bertrand and Liverpools Coutinho also made the list. 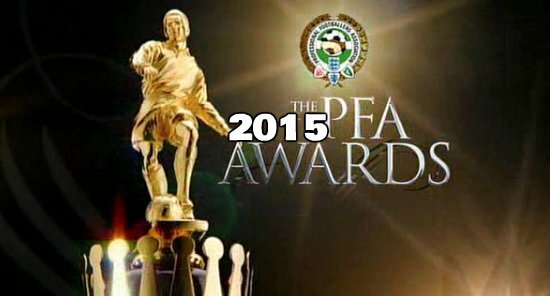 PFA 2015 Awards Date & Time: The 2015 English Premier League PFA awards will be taking place on Sunday, 26th April 2015 in Grosvenor House, London and the timing of the award ceremony is 19:00 local british time. There will be several categories where players, teams and coaches will be awarded for 2014-15 season performances and the ballot forms are already dropped at 92 professional clubs in english league system. Here is a short overview of players who are nominated for Best Player of the Year and Young player of the year awards. Men & Women player of the year & Best Men & Women Young player of the year will be awarded on the night and here are the nominees announced for the 2014-15 season. PFA best player of the year award is the best individual reward a premier league player can get and over the years some of the legends of the games has put their name on this yearly award. Last year it was Luiz Saurez who won the award while in the past likes of Thierry Henry, Ryan Giggs, Cristiano Ronaldo, Ruud Van Nistelrooy, Eric Cantona, Alan Shearer and many other big names has won this award. 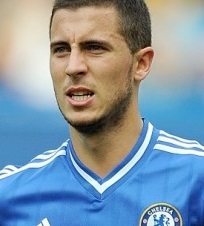 For the 2014-15 season there are a few nominees from which any of them can make a claim for the big prize but Eden Hazard is overwhelming favourite ahead of players like Harry Kane, David De Gea, Alexis Sanchez and Diego Costa. Tottenham Hotspurs forward Harry Kane is firm favourite to land the young player of the year award after a surprisingly great season where he has already bagged 21 goals for spurs and kept other recognized strikers like Soldado and Adebayor out of the team. Rahim Sterling of Liverpool and Nathanial Clyne of Southampton are also in the running but this season there is no stopping Harry Kane if the common sense prevails. PFA representatives deliever the voting forms to all 92 professional clubs in english leagues and every player gets to for different categories plus PFA team of the year. 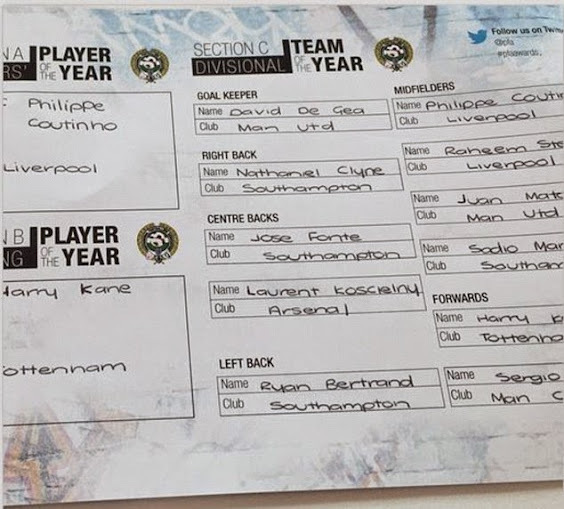 Once player has filled the ballot he than signs and return it to the PFA representatives who seal and deliver the ballots back. Player can not vote for themselves or teammates. Player of the the club which dont participate in the voting process, wont be eligible for awards.